Hi guys, it's Cherry! 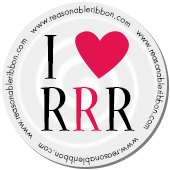 My day here at the Really Reasonable Ribbon blog. I have some cute Easter ornaments for you today. I used vintage jello molds that had these rabbits on them. I painted them with chalk paint and distressed them up for a worn appearance with a sanding block and ink. After that I sprinkled some white glitter on them. I stitched up some crepe paper fringe and adhered it to the edges along with some pom pom fringe. I added Bay Leaf Seam Binding, Plaid Ribbon in Aqua, and Baker's Twine in Icicle Metallic. I topped each one off with stamped banners and burlap flowers. These are perfect for an Easter Tree...or could be used in an Easter basket or on a Spring wreath. These are so sweet and would make such a nice gift for someone as well! Love your matching trims especially!